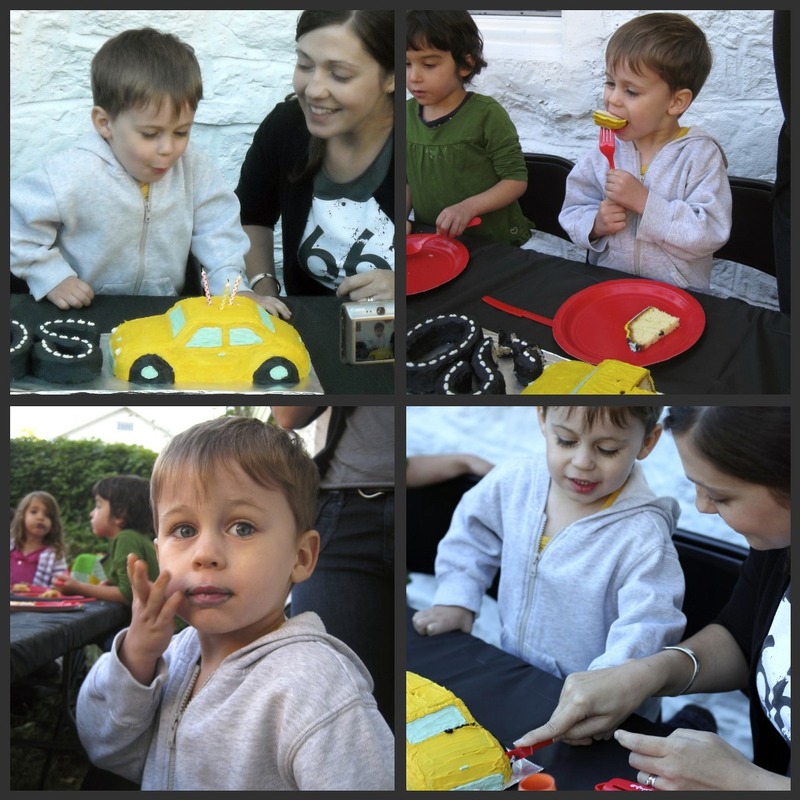 Well, I'm finally posting the pictures from Oscar's car birthday party! Yes, it has taken me about a month to do this. I needed to recover. For real. Tim and I spent a whole lot of time getting things ready for this party. We really didn't want to spend an arm and a leg, so we ended up having to make most everything. Did you know traffic cones cost like 30 bucks each?!? Crazy. I ended up just making poster board cones and they looked great. 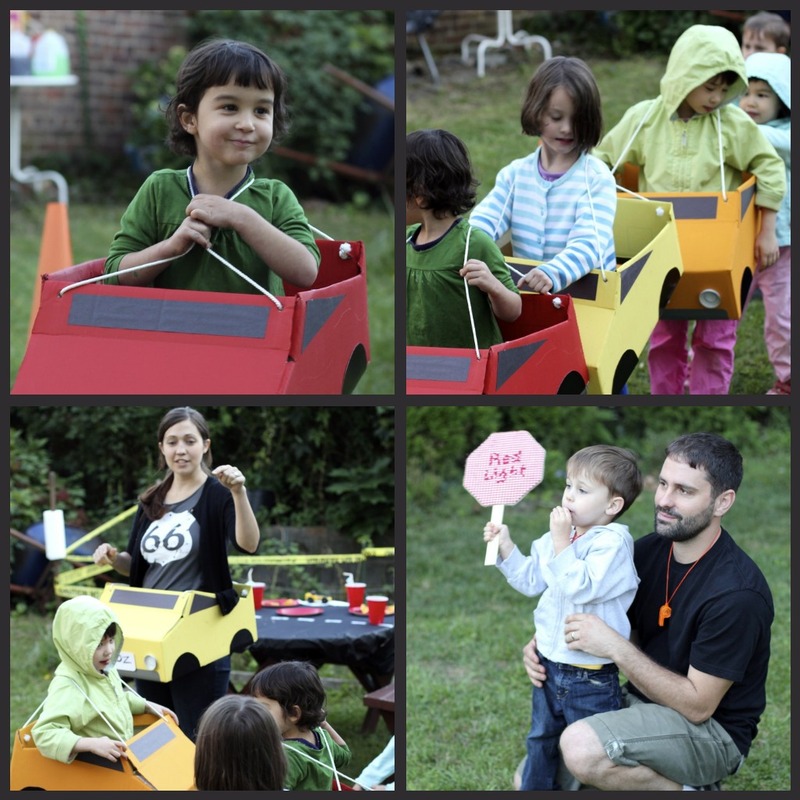 Tim made a slew of cardboard cars that looked A.M.A.Z.I.N.G. He is quite the crafty gent. 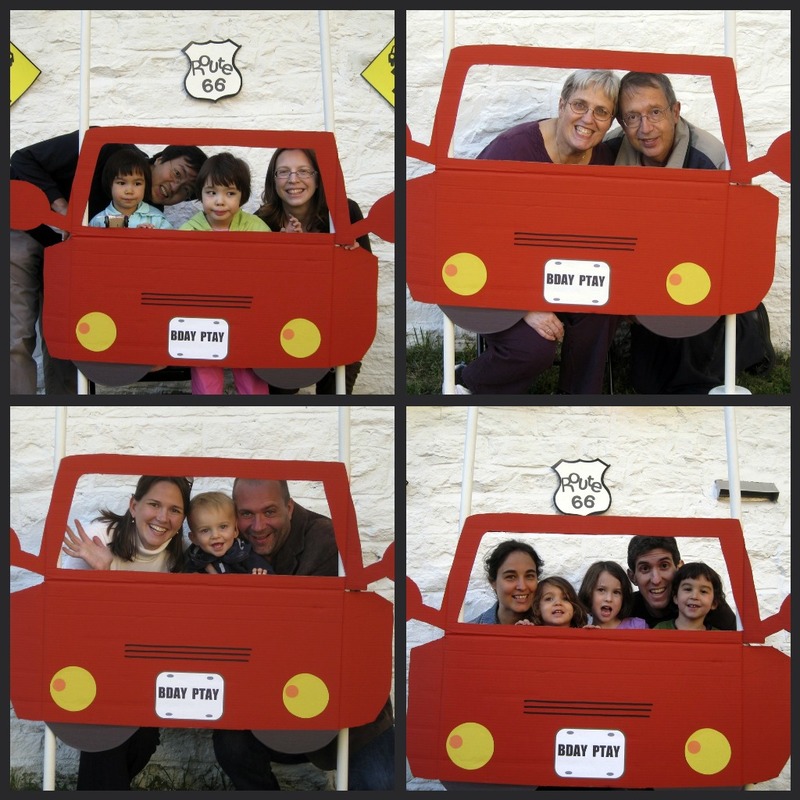 Even Oscar's Diva and Poppa (my folks) got into being crafty. 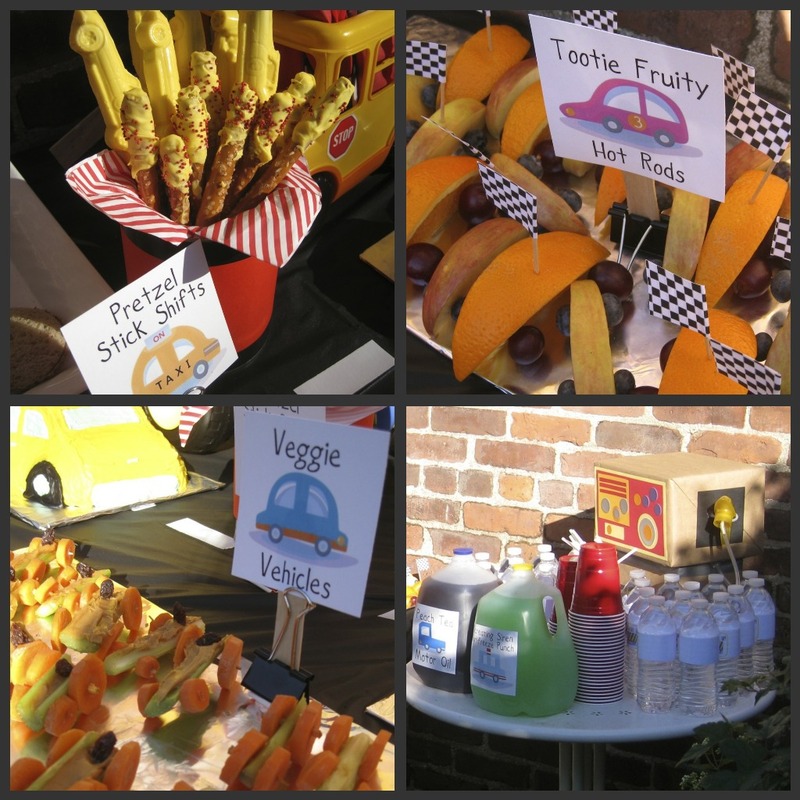 Diva and I had been pinning (Pinterest) ideas back and forth and coming up with fun ideas. 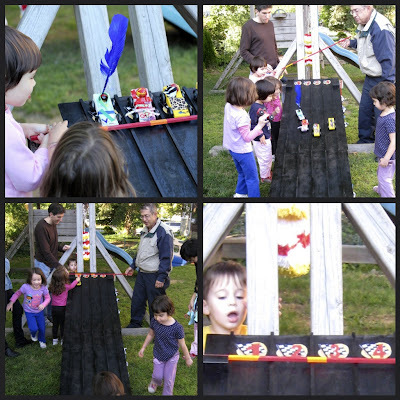 And Poppa made an awesome racetrack for the kiddos to have races on with some great little wooden cars for them to decorate. Really, it couldn't have been a cooler party. I made some fun party favors for all the kids. They were simple black and white checkered bags filled with all sorts of fun vehicle things. 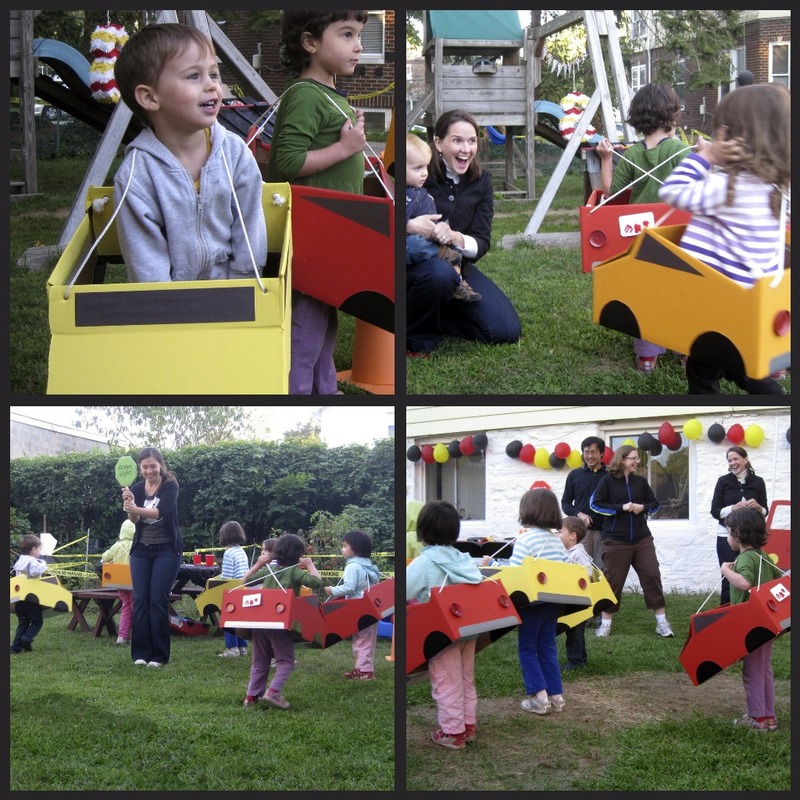 We never could decide on a specific car theme (construction trucks, race cars, fire trucks, big rigs, etc.) because Oscar has a passion for all things wheeled. So the contents were kind of a hodgepodge. 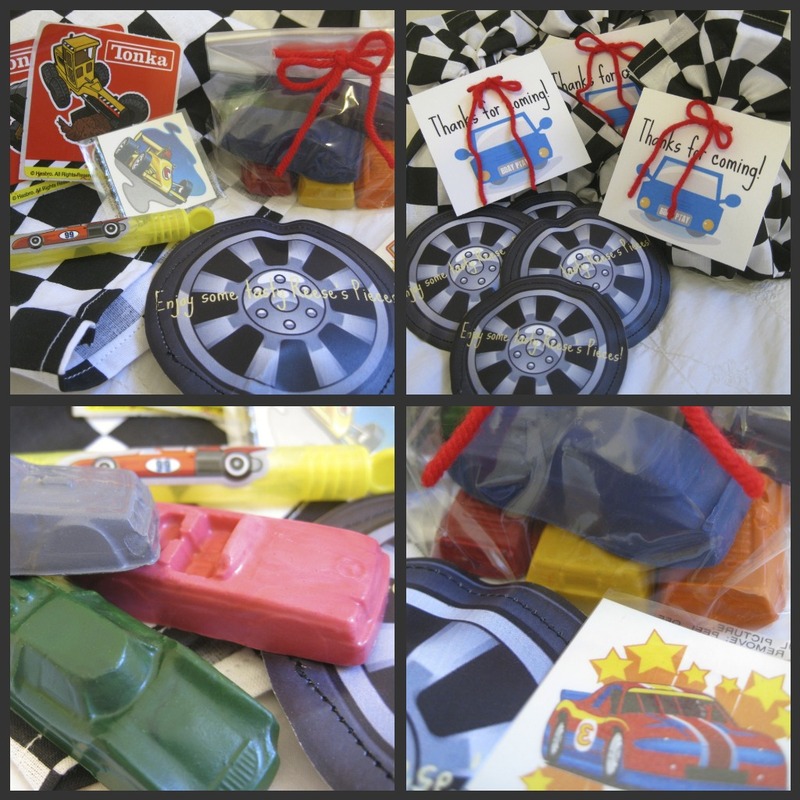 The bags included Tonka construction truck stickers, homemade car crayons, a bubble wand (dollar store find with a cool race car sticker attached to gussy it up a bit), race car tattoos, and a paper wheel filled with Reece's Pieces (idea came from this tutorial). 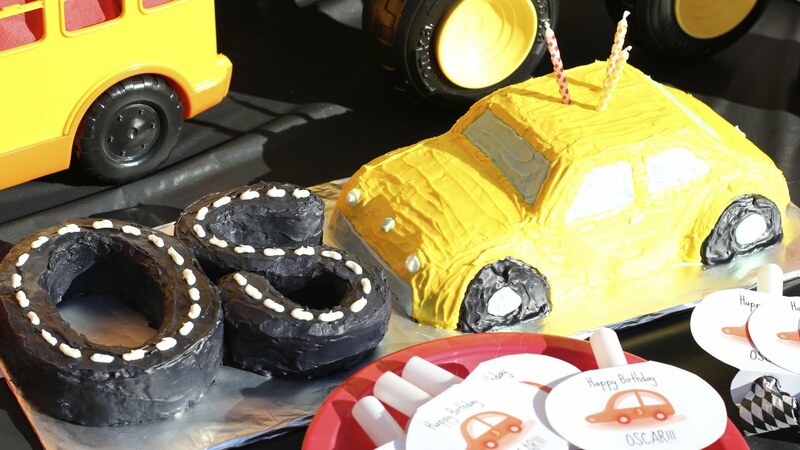 We had an age range of 6 months to 5 years old, so these had a little bit of something for everyone. We all decorated cars at the start of Oscar's party. My dad made some great basic (pinewood derby-type) wooden cars that had a base coat of paint on them (red, yellow, or white) for the kiddos and parents to decorate. 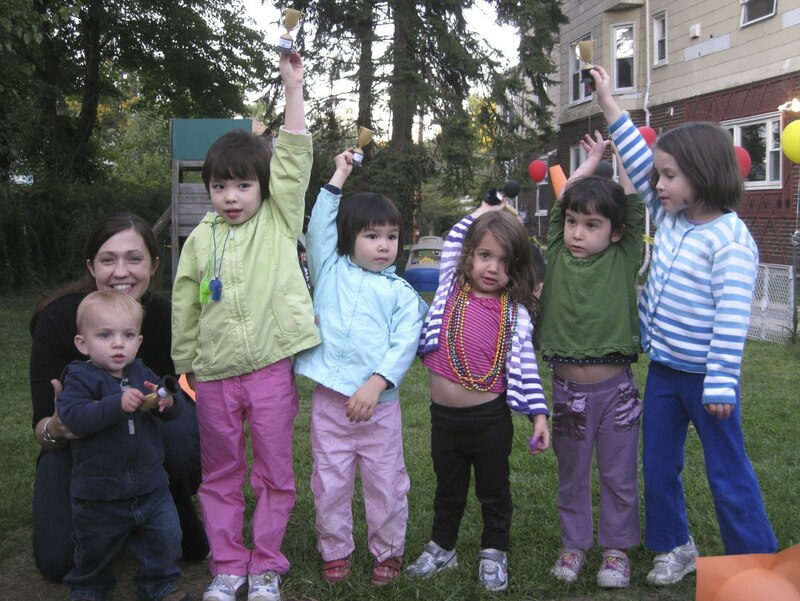 They were such a hit! We had a few artists in our group, for sure. 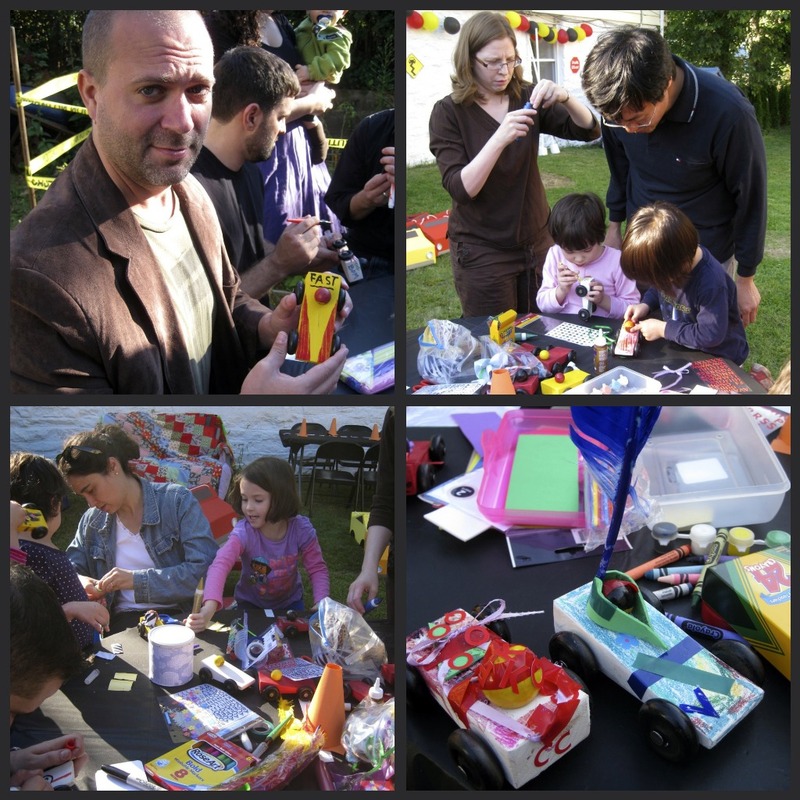 Some cars got feathers, some got foam stickers... After that, we had a few track races! Finally, we had a pinata! 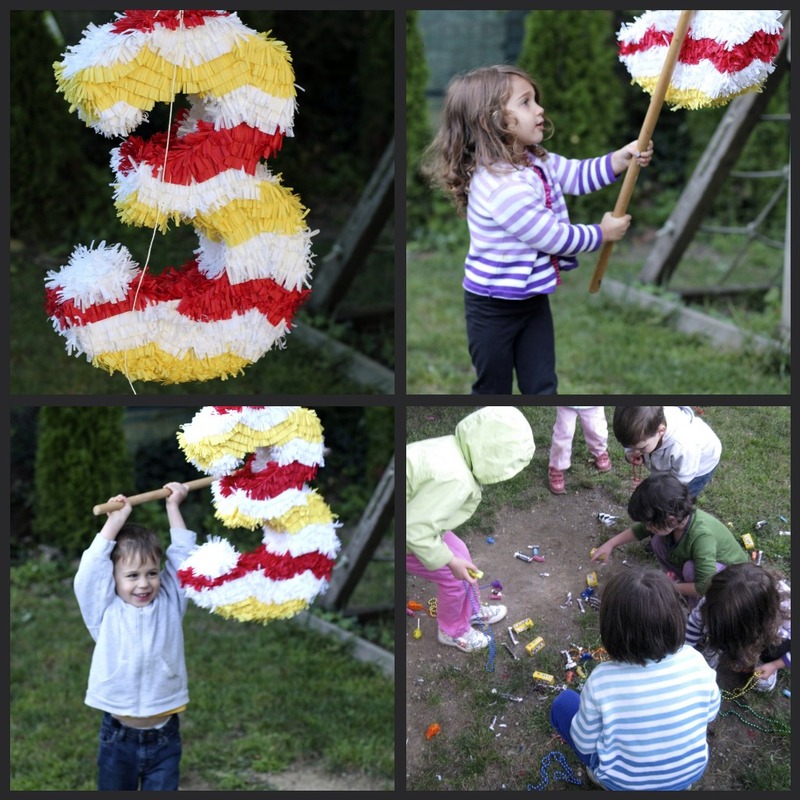 What is a party without a pinata?!? Really. So, I saw a great tutorial on Oh Happy Day for doing a number pinata. I think it turned out great. Making the pinata also gave me an excuse to purchase some awesome Martha Stewart fringe scissors. Oh Martha, you speak my language lady. A special thanks to Brandon Edling and my mom for taking pictures!!! You guys rock! A-maz-ING! What an awesome party! You guys seriously outdid yourselves. I love all of it. 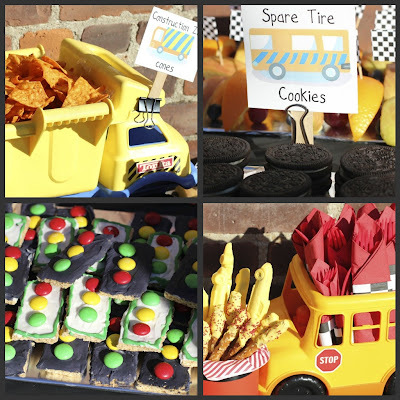 Especially the cake, cb cars and pinata. What a lucky kid! Oh my goodness, you continue to be my hero! This is fantastic, and I can't believe how much of it you guys did yourselves! It all looks fantastic and so professional. I'm with the other two commenters-- you are AMAZING! Seriously! This party is a little boy's dream. Glad it was so fun, you rock! I will like to know how u made the photobooth ?? Hi Erica, the photobooth car we made is just a cardboard thing my hubby painted and cut out. It is supported by pvc pipes (you can kind of see them in the photos) and we just sunk the pipes into the ground to support the car. Since it was lightweight cardboard, it fared okay throughout the party. Amazing party!!! Congratulations Suzy! 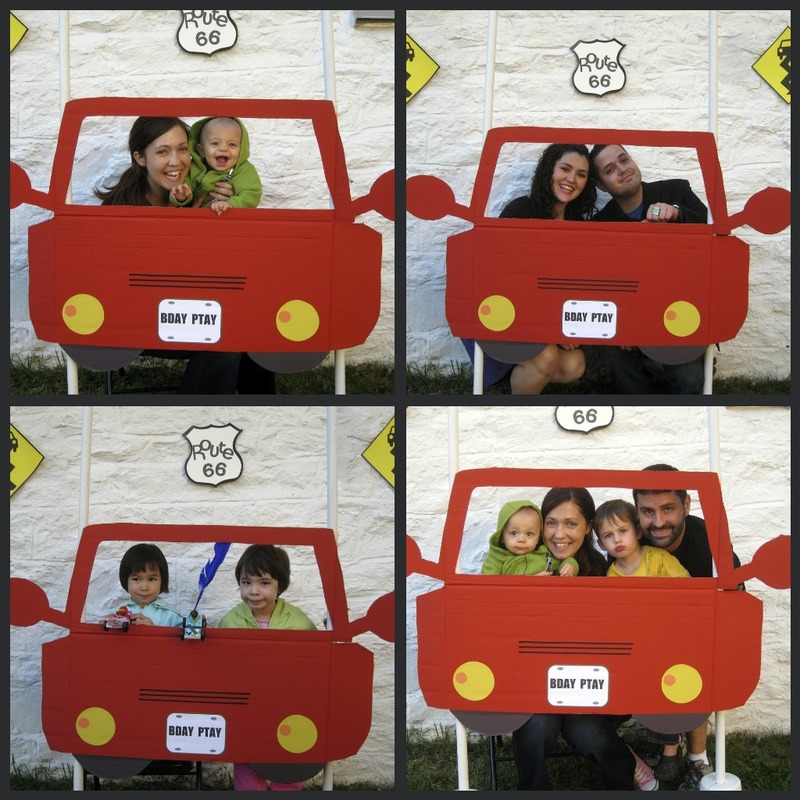 I'm planning my son's 3rd birthday next month and I would love to make them the cardboard cars for the kids! Could you please tell me how to make them! They look terrific! 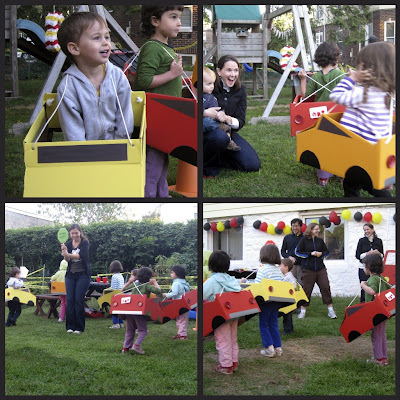 Do you have a tutorial for the cardboard cars? 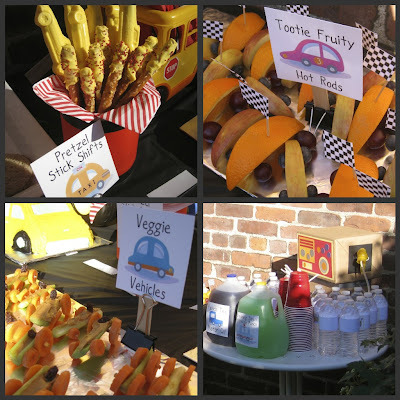 I am making some for my little guy's party and those are some of the cutest I have seen. Amazing! 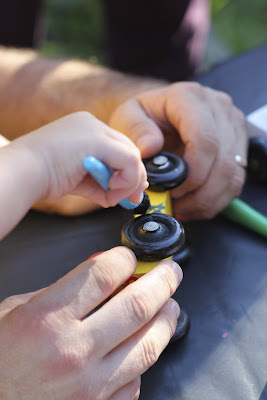 Will your dad be able to share how he made those wooden cars for the kids to decorate? My email: angela.hou@gmail.com. Thank you in advance! Hello! Can you please tell me the dimensions of car photobooth please! Party looks awesome!